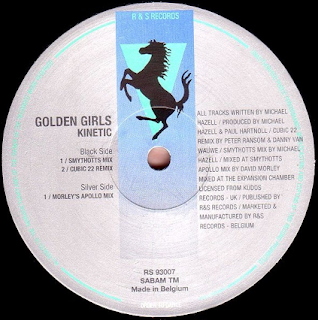 This week we go way back, all the way to 1993, to bring you Golden Girls – Kinetic (Morley’s Apollo Mix). While the original is amazing in its own right, we fell for the ambience and warmth of Morley’s Apollo Mix, and we fell hard. From the first moments, as the pads drift in, it’s clear we’re in for something big. Percussion is at a minimal here, no kick, no crunchy snares – none of that. It doesn’t need any of that. The track is smooth and relaxing; letting us sit down and catch our breaths on this elegant journey through warm, living, breathing synths.